Aviation safety standards are, for obvious reasons, very stringent, and corporate aviation is no exception. 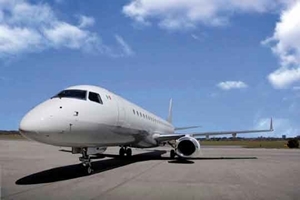 The International Business Aviation Council (IBAC) oversees many of this area's safety requirements through its International Standard for Business Aircraft Operations (IS-BAO), which is constantly being updated to keep up with the industry's evolution. Corporate aircraft operators each have their own safety management systems (SMS), which need to conform to IS-BAO, but the frequent changes mean that this is no easy task. Former corporate pilot Phil Fountain has used FileMaker to develop an app, iIS-BAO, to help companies achieve full compliance with the requirements of IBAC and the U.S.-based National Business Aviation Association. iIS-BAO allows operators to set up their SMS in accordance with current protocols, and it can also be used by the SMS providers themselves as well as by auditors to easily check compliance. "Now IBAC is requiring cross-referencing in all its audits," said Fountain, now an auditor, to Aviation International News. "I've included a place for operators to cross-reference each of their requirements to the manual. They can export it to an Excel file and email it to the auditor. The auditor can [input] all his questions and comments… and when he gets into the audit he can have all his questions prepared." The app runs on FileMaker for Mac and Windows as well as FileMaker Go for the iPad. Professional FileMaker developers can help companies in all industries work with this highly customizable database software. As a specialized Apple support provider, MC Services can also carry out iPad deployment to allow companies to take full advantage of FileMaker Go.